There is one shipping rate available for . We do not ship to this destination. 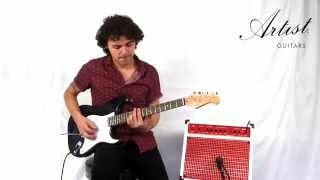 If you're someone who wants to play a bit of metal like Pantera, Van Halen or Metallica, but then wants to play rock like Arctic Monkeys or Cold Play, and then wants also to do a bit of Jimi Hendrix... basically you looking for a guitar that can do a bit of everything, then this electric guitar is the right choice for you. This guitar gives you a clean sound as well as much distortion as you can handle from your amp or effect pedals without any extra unwanted noise and squeals. The STH electric guitar is a great way to be introduced into the world of rock, funk and blues as it is a beginners copy of a classic guitar that has done countless albums, tours and made many a guitar icon. The contoured body provides great comfort in playing which has made this type of guitar a favourite with many players. It has tremolo bridge that is not floating, or lock tuning like a Floyd rose, but rather it is designed for a small amount of vibrato so locking nuts are not necessary. Great Quality and Wilkinson Pickups make this guitar a step above the rest. This is a real musical instrument not a toy, designed by our local luthiers and players. We also sell these as a package with an amplifier if you need. * Wilkinson pickups (ceramic) mean you will get a much better sound than a 'standard' pickup. The STH comes with a Humbucker and 2 single coil pickups. This gives you more versatility in the styles you can play. Humbucker pickups allow you to produce better distorted tones. * It has a classic strat style bridge (so you can do classic style tremolo and string bends) & die-cast machine heads that will help you stay in tune longer and make your tuning easier. 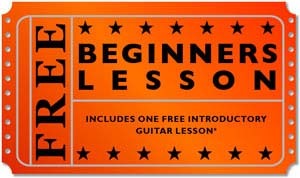 * A free guitar lesson (check out our website for times and locations - sorry not all locations are currently covered - contact us if your area is not covered). 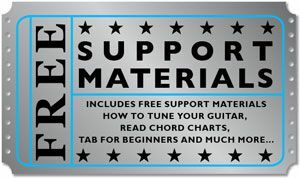 * We include a range of support materials from how to tune, how to read tab, basic chord shapes and more. Included Accessories: Bag, Strap, Clip-on Electronic Tuner, Guitar Lead, Tremolo Bar, Neck adjustment and Tremolo adjustment Allen Keys.